My remarkable, education rockstar friends Amy Mascott of TeachMama and Allison McDonald of No Time for Flashcards have published a book that is packed with insights on helping our children be the best readers they can be. Raising a Rock-Star Reader is seriously the easiest to digest and most valuable parenting book ever to claim space on my bedside table. The book is filled with 75 quick and effective ways that we parents can build better reading skills in our young children and establish lifelong bookworms, putting our kids on the road to educational success. I had the pleasure of seeing Amy and Allie (OK, I know I should call them Mascott and McDonald, especially now that they are bonafide published authors!) 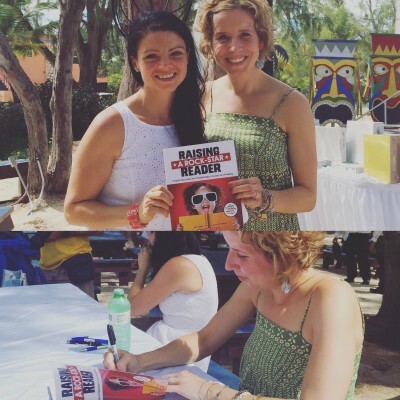 speak at Social Media on the Sand last week, as well as attend their book signing. There they spoke of the importance of reading love in our homes, and they offered strategies for making reading a fundamental part of our kids’ lives. 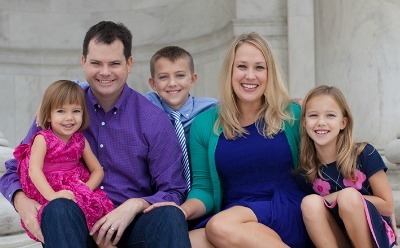 Amy and Allie, two veteran classroom educators as well as mothers of young kids, write that correcting kids’ speech and grammar missteps will only stress them out or hurt their feelings. Instead, we parents can simply rephrase their speech correctly. 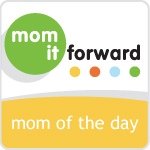 As the mother of a verbal but willful four-year-old whom I want to teach but not “break down,” this was an essential tip for me to hear. The authors share that grid games — sheets of paper with pictures and shapes that teach children to move from left to right, the basic concepts of print — are powerful tools but also easy and enjoyable. They write that the more we play these games with our kid with the important “left-right-return-sweep movement of reading,” the more they will understand this building block of reading skill. 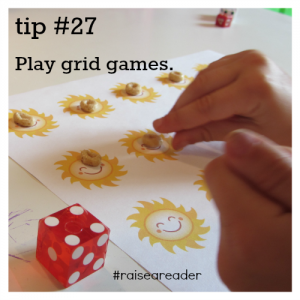 Amy and Allie have even provided a free grid games printable on the Raising a Rock-Star Reader homepage! 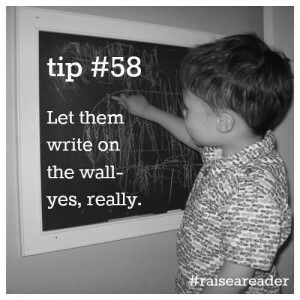 Tip #58: Let Them Write on the Wall — Yes. Really! My Alice has her own, weird way of holding a pencil, and no amount of my directing her to the correct grip can sway her from her bizarro hold. Allie and Amy recommend setting up a wall-writing space for kids, they write, because when children write upright they are “…developing the correct muscles needed for writing [and] their arm and hand also end up naturally in the correct position.” This tip in Raising a Rock-Start Reader provides seven different surfaces that we parents can set up in our homes so our kids can practice their printing skills. Buy the Book! 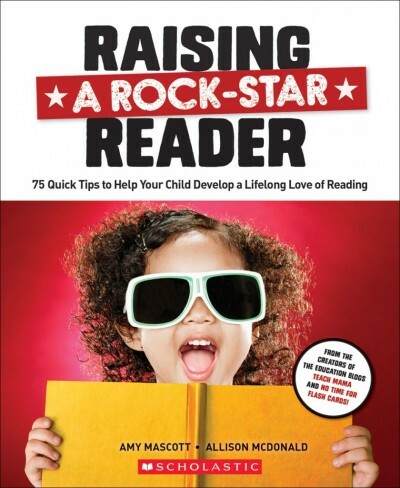 Raising a Rock-Star Reader is available on Amazon for just $13.59 and is a big, beautiful manual you will reference again and again. Enter my giveaway! I have an extra copy of this terrific tome that I will happily send one lucky reader. If you would like your own copy, leave a comment below about the rock-star readers who will benefit from these tips. The winner will be randomly drawn from all comments in one week on 11/10/16. I am delighted to participate in the #RaiseAReader blog tour. I received two free books for review so I am giving one to you! 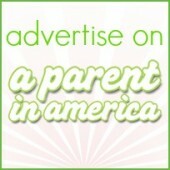 Amazon affiliate links used above. No compensation received. I would love to receive this book to help my son who is learning to read and my daughter who is just beginning to write her name. thanks! my nephew the rock star reader would benefit from these tips! My future nephew could use this book. My middle son would get so much use out of this and be able to pass it down to his new baby brother when he is ready!